Welcome to Evan's Factory Five Build Site - Build - WIRING! 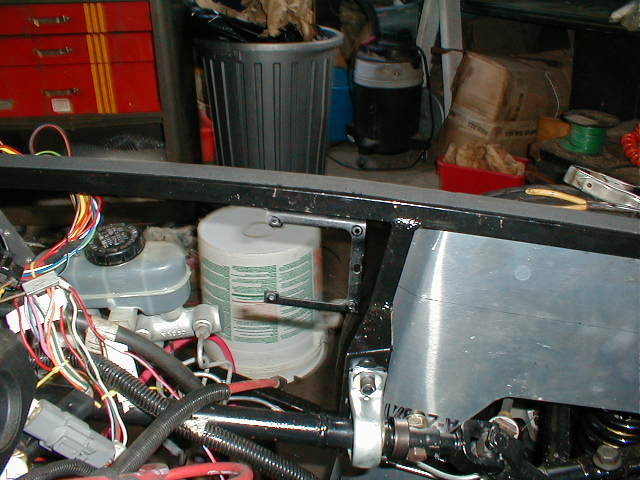 Wiring, where to start.... Ok, I did the wiring diet myself and in the process re-wired a lot of the dash area of the wiring. One of these days I will make a more comprehensive tutorial but for now you'll just have to follow along the pictures and kind of figure it out yourself as you go along. 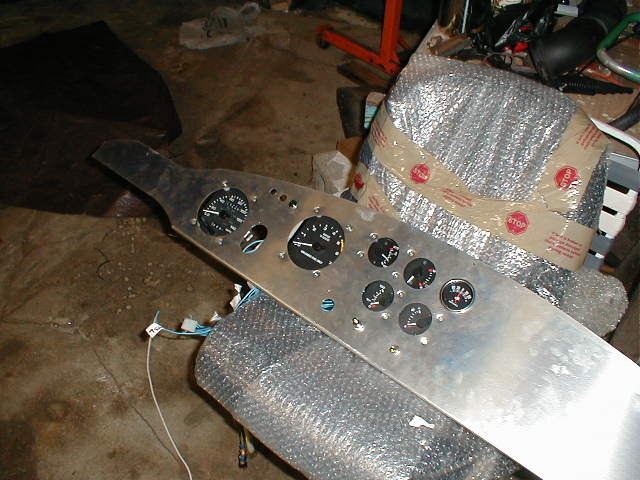 Actually customizing the wiring in your car is not that hard. Sure it takes a long time and is a pretty dirty job, but the payoffs in the end are worth it. You will know exactly where each circuit goes and will therefore be able to easily diagnose electrical problems in the future. It will also be a cleaner install with fewer extra wires. I suppose it weighs less too....but there are easier ways to strip weight from your car (yourself :). Let me say this as a warning. If you have very little electrical experience and have no real interest in learning, do yourself a favor and pay someone to do it. 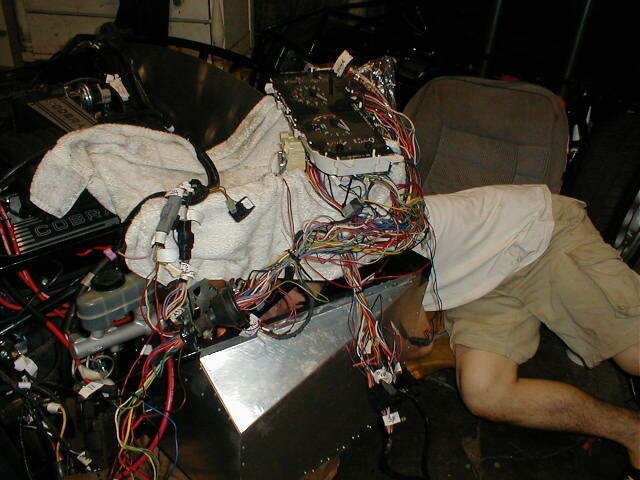 Also, if you don't have 10+ hours to spend on the wiring pay someone to do it. 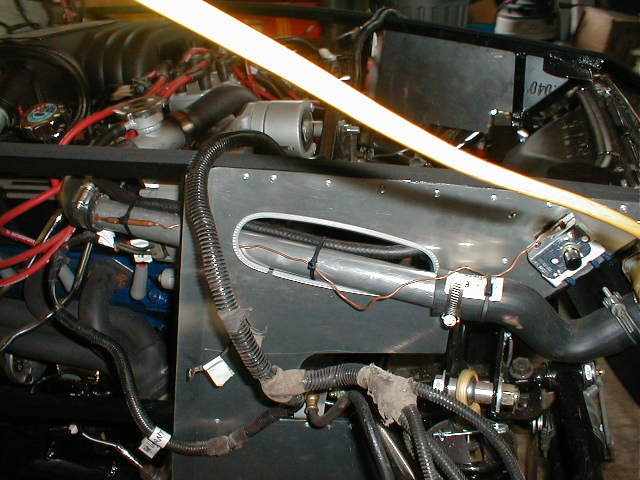 This can be a very frustrating process for a rookie electrician like myself and truthfully, this was the hardest step for me in building the whole car. It required the most time and the most effort to get it to work right. simple fuse panel I got from autozone. Much simpler than the mustang one. another shot of the fuse panel. looks like fun eh? 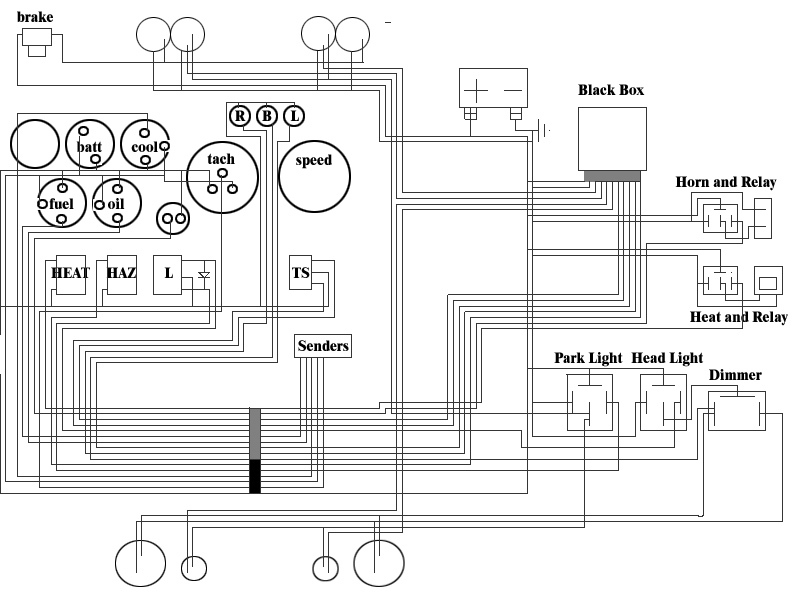 Since the pictures are confusing, I made up a simple (well) wiring diagram for everything that I added. You can follow it if you use my black box or a modification of it.